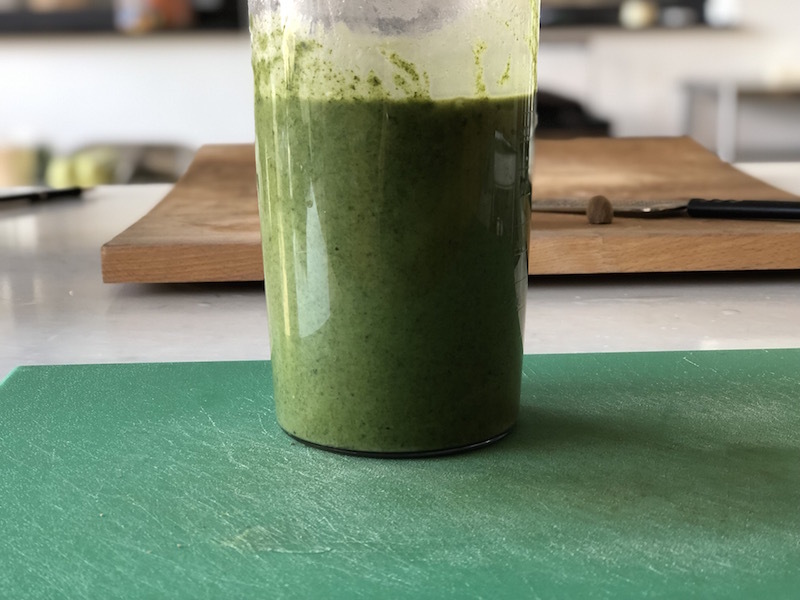 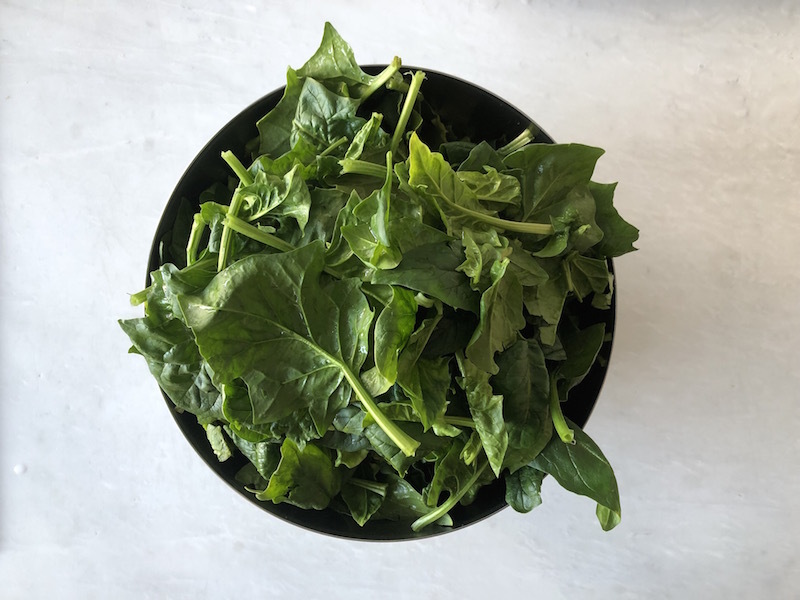 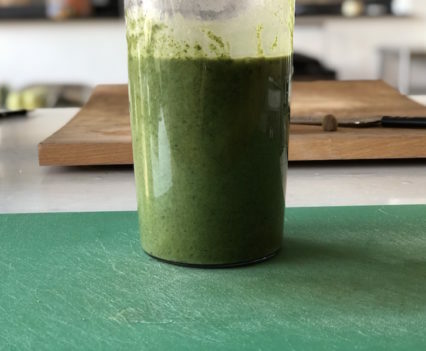 Wash the spinach and cook in boiling water for 5/6 minutes; drain them under cold water and squeeze them well; keep aside. 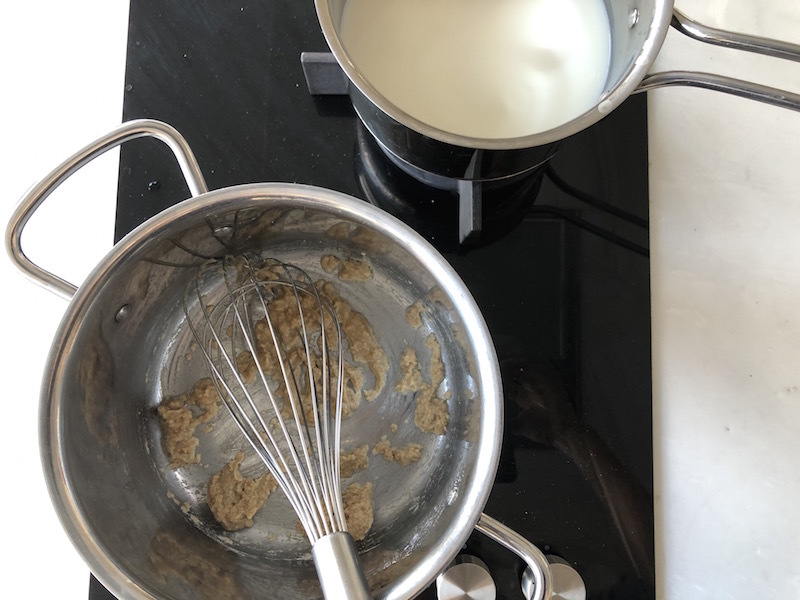 Heat the milk for the bechamel in a saucepan. 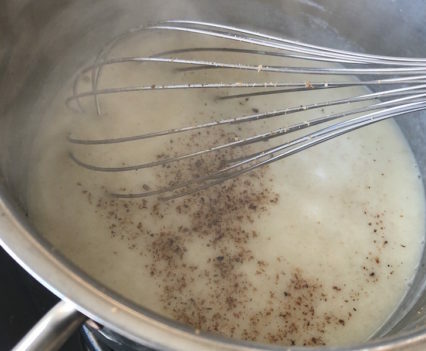 Prepare the roux in a saucepan: heat the oil and add the flour turning with a whisk. 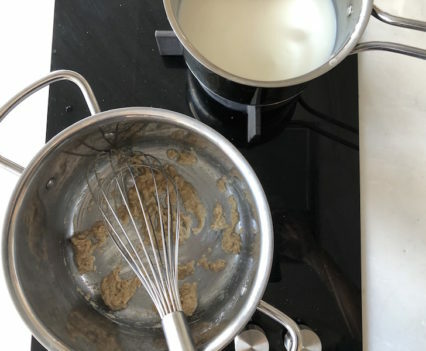 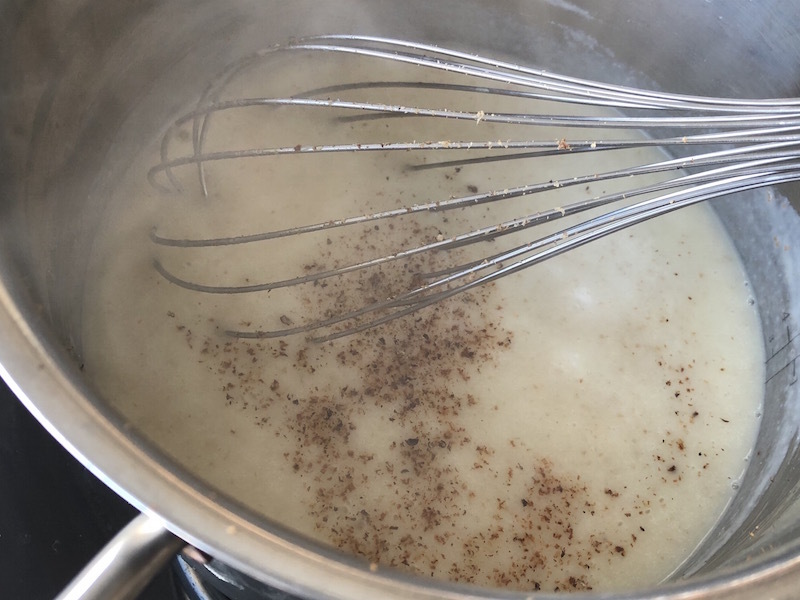 Add the warm milk gradually and out of the fire; keep mixing with the whisk; put again the saucepan on the heat and stir until you have obtained the right consistency for the bechamel (it will take a few minutes). 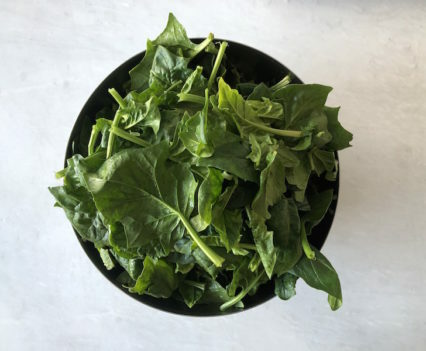 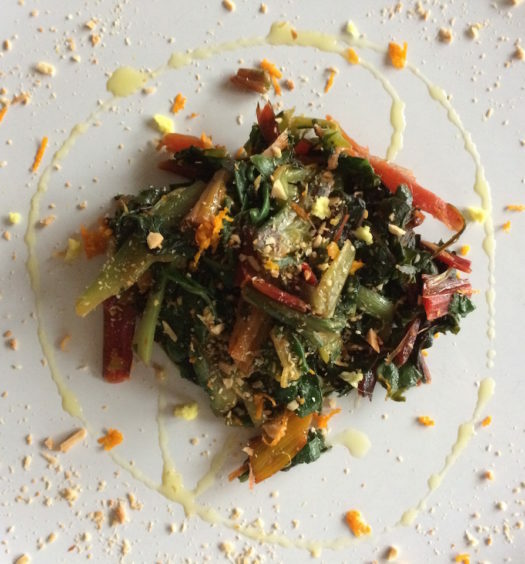 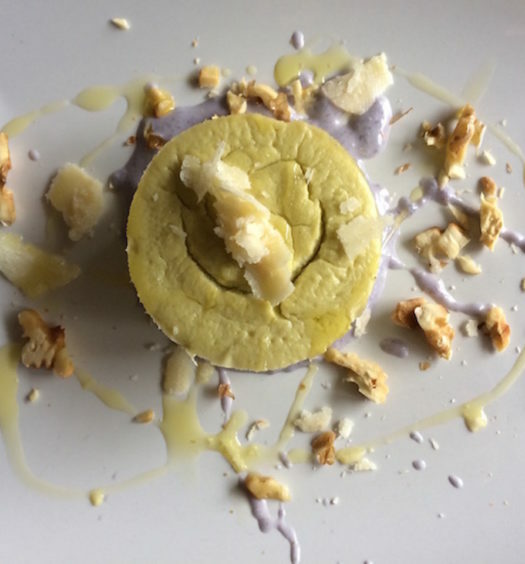 Now let’s color the becahmel: add the spinach, 2 tablespoons of grated Parmesan cheese, a pinch of salt and nutmeg. 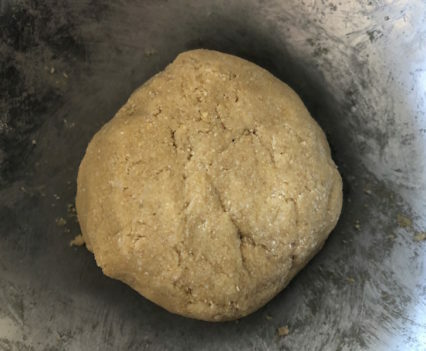 Preheat convection oven at 180 ° C/ 356F. 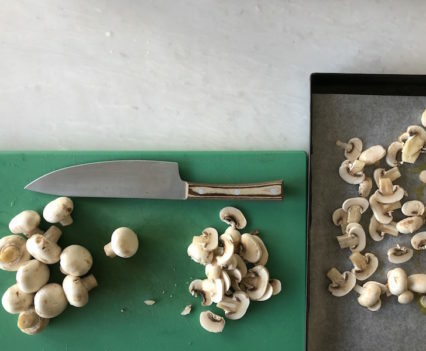 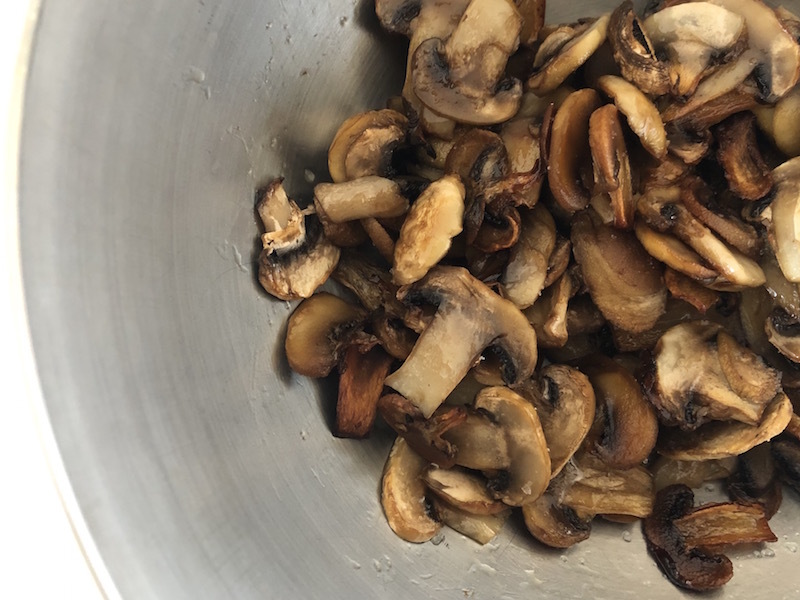 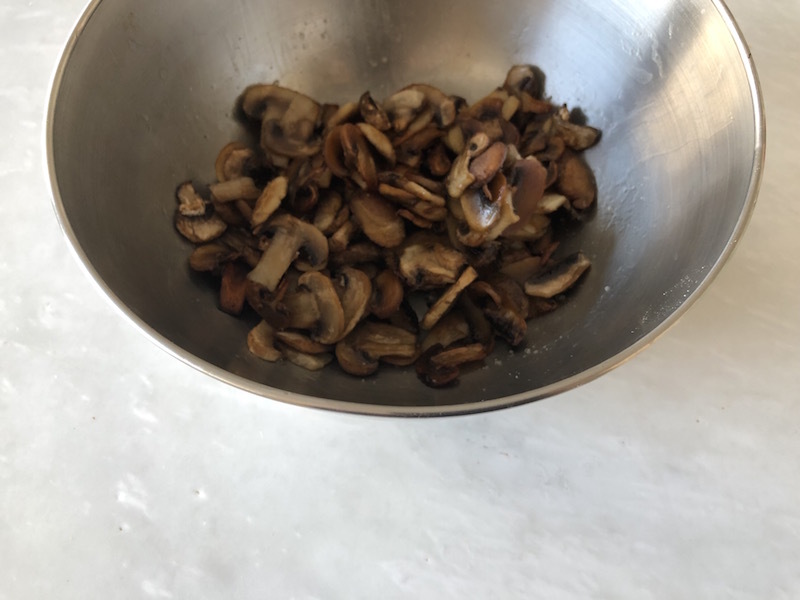 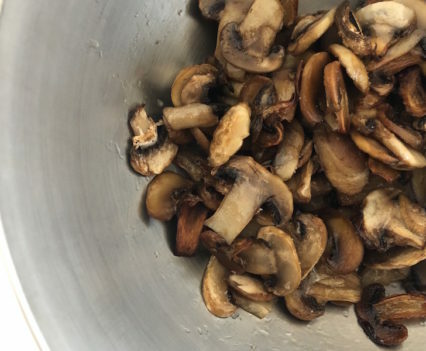 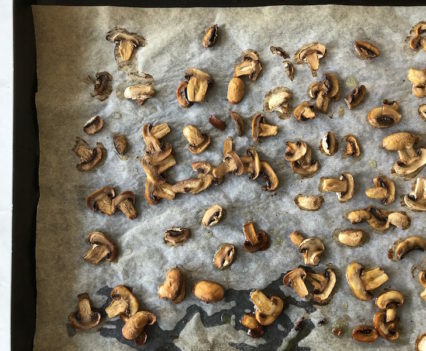 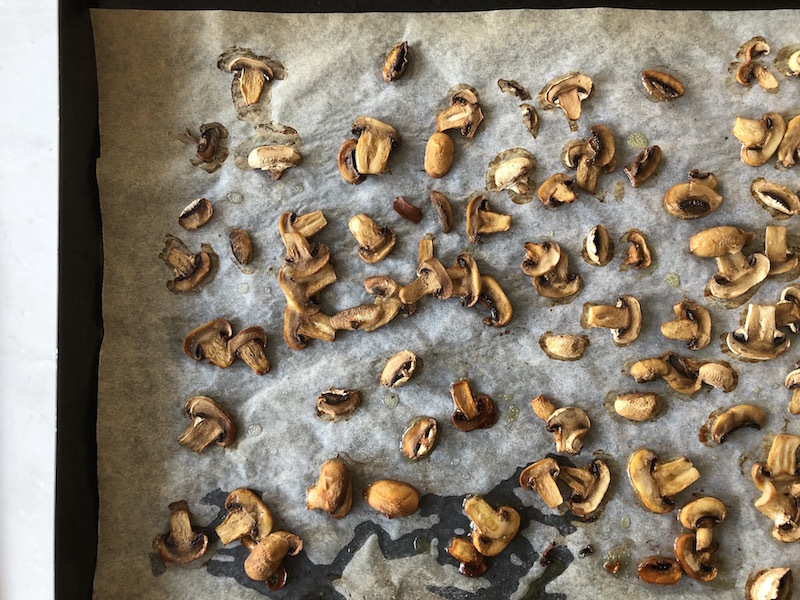 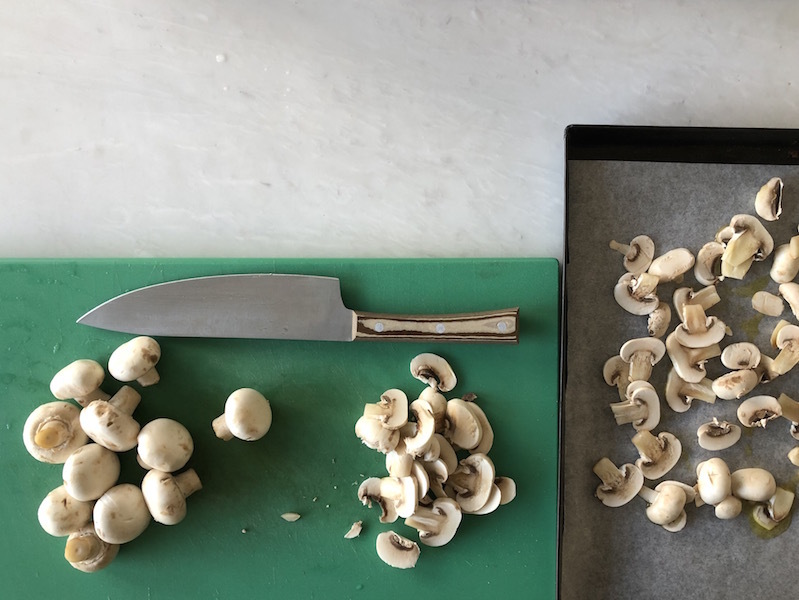 Wash the mushrooms and cut them into thin slices: lay them on a slightly oiled pan and bake for about 15 minutes; season to taste and keep warm. 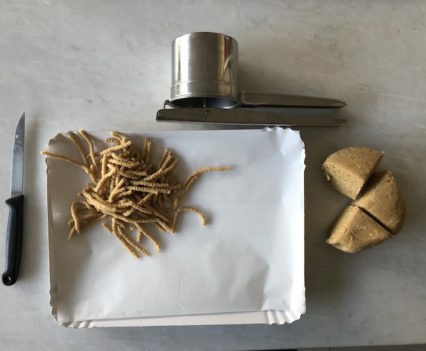 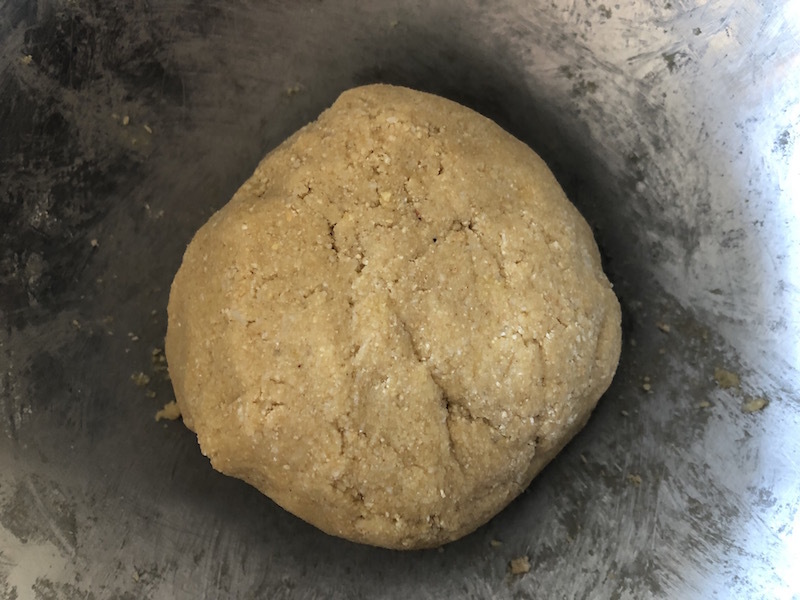 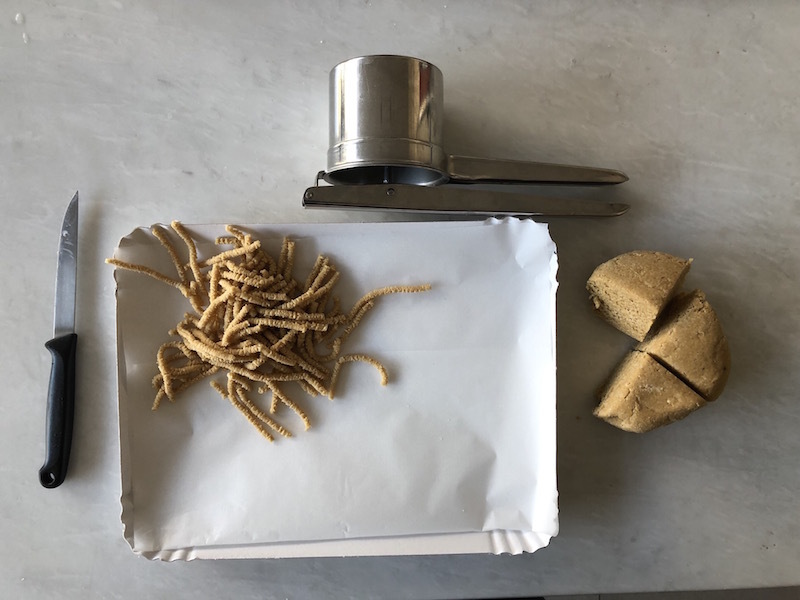 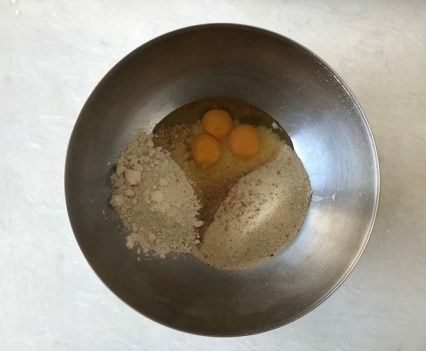 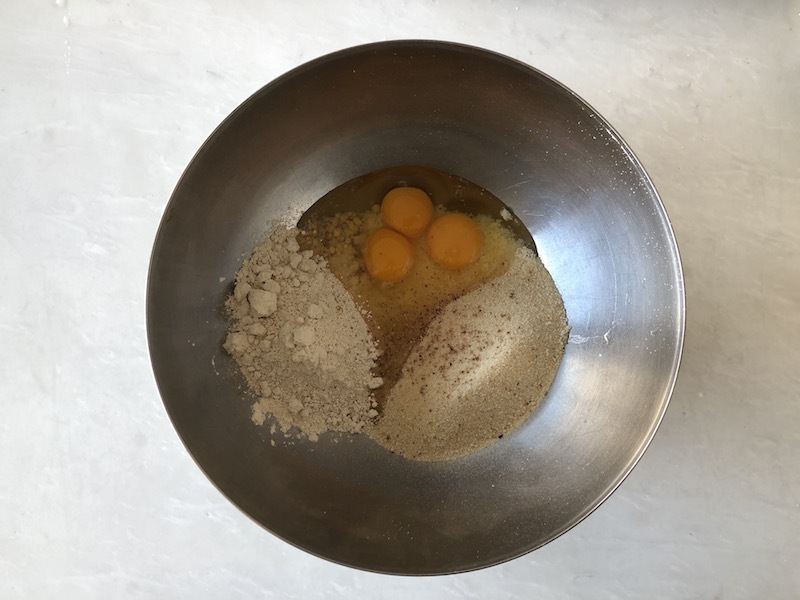 Now prepare the mixture for passatelli: mix all the ingredients together (bread, flour, parmesan and eggs); create the passatelli, laying them on a paper tray, helping with a potato masher. 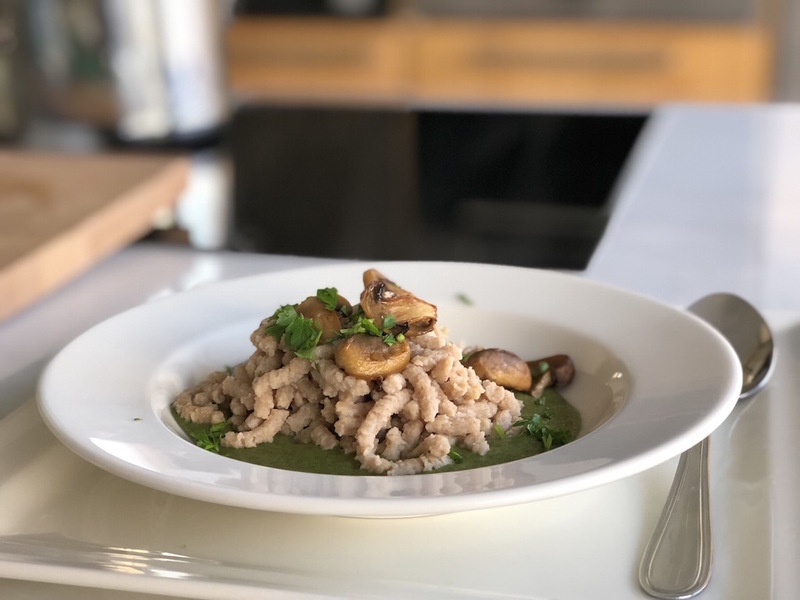 Bring the water to a boil, add salt and throw the passatelli, cooking them until they come up to the surface. 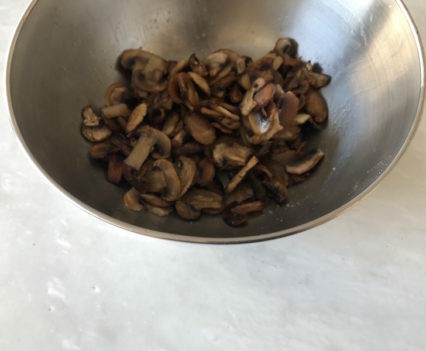 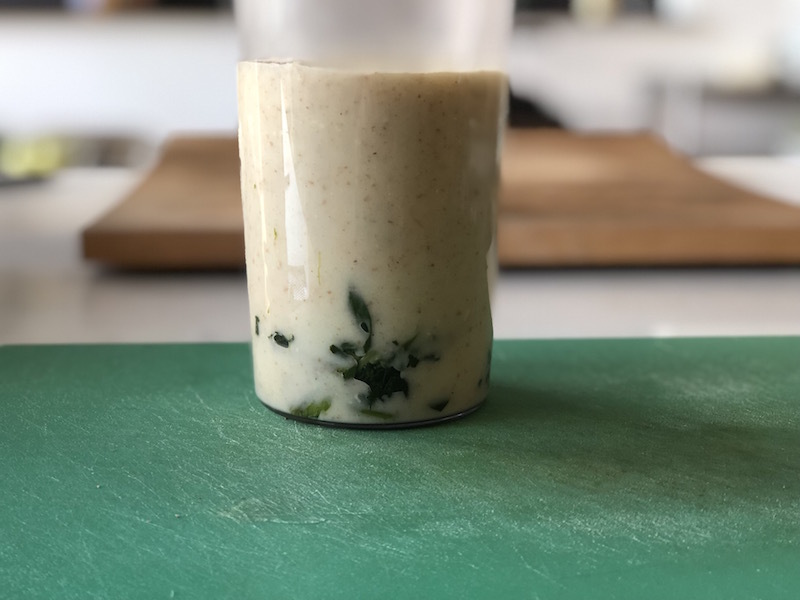 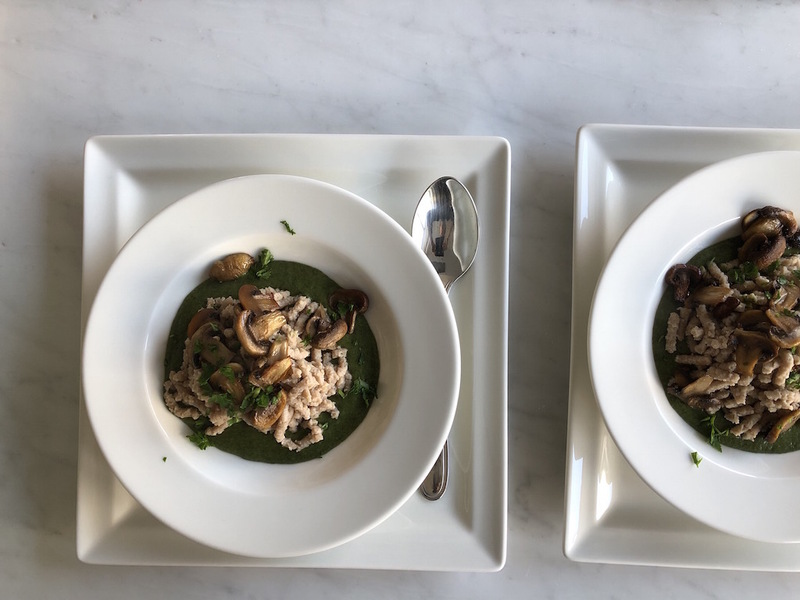 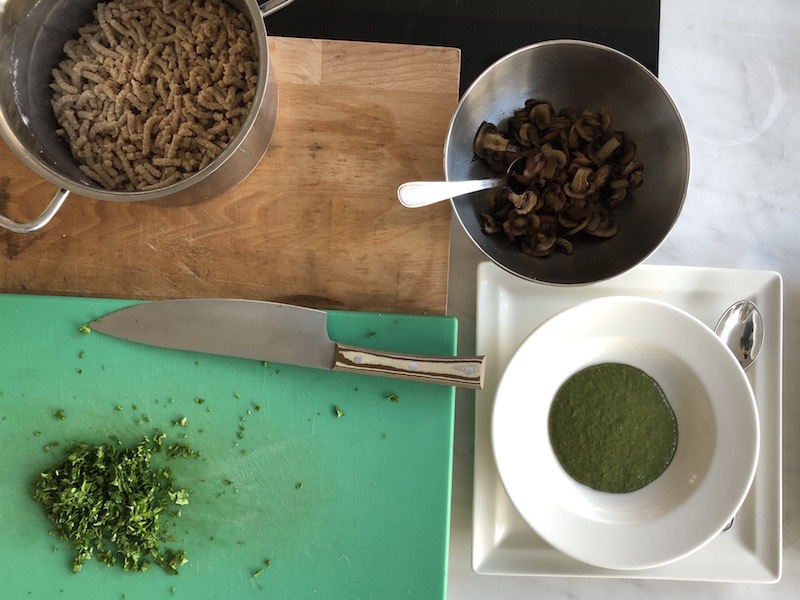 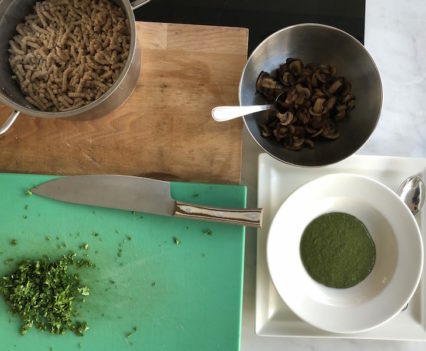 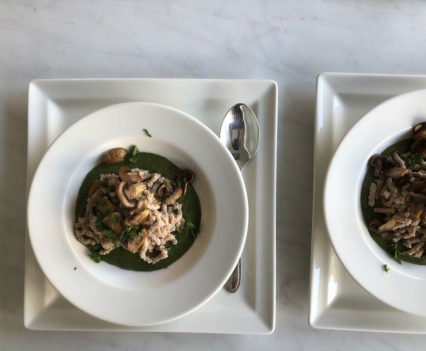 Drain and season them with a tablespoon of oil; serve them on the warm green bechamel and cover with some mushrooms, the fresh parsley and some grated lemon peel.